Radio Frequency Identification (RFID) technology has the potential to dramatically improve numerous industrial practices. However, it still faces many challenges, including tag collisions and reliability, which may limit its use in many application scenarios. In UHF RFID systems, many collisions happen due to the numerous tag responses generated by the inventory process. Also, given the low cost and low performance of UHF RFID tags combined with harsh environments, RFID communications must deal with high Bit-Error-Rate (BER). As a matter of fact, the extra identification delays added by these collisions and communication errors can bring to a waste of bandwidth and more time inventory. The efficiency of tag identification is related to the performance of the anti-collision algorithm. To evaluate this performance, an UHF RFID module has already been developed in the NS2 simulator. This NS2 RFID module implements an RFID system based on the anti-collision Q-Algorithm (Q-Algo) of the EPC Global Protocol Class-1 Generation-2 Standard. In this paper, first, we propose an optimization of this NS2 RFID module by implementing and validating a more realistic version of the Q-Algo. 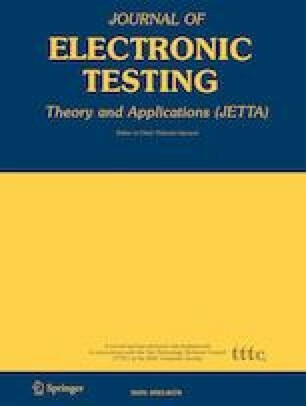 Secondly, we add to this module some fault injection capabilities to evaluate with NS2 the UHF RFID system robustness in presence of communication errors. Finally, we show how this NS2 UHF RFID module is much more realistic for the timing evaluation in presence of communication errors.